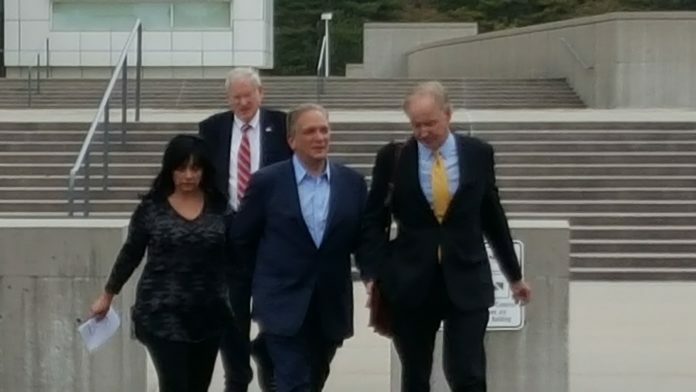 Harendra Singh, a restaurateur turned government witness, has testified that he showered former Nassau County Executive Edward Mangano and his wife, Linda, with gifts in exchange for favors and business opportunities, according to Newsday. Singh testified last week and early this week in federal court in Central Islip. In the Manganos’ first trial, which lasted 12 weeks and ended in a mistrial, Singh was the government’s star witness, but jurors doubted Singh’s credibility, which the defense targeted again this time around in cross-examination, according to Newsday. Prosecutors, instead of putting Singh up to testify immediately, called on several new witnesses to paint a more descriptive picture ahead of Singh’s statements, according to Newsday. Singh, whose sentencing after a guilty plea has been delayed several times, is apparently cooperating with the government in an effort to receive leniency, according to Newsday. Singh testified that he provided Linda Mangano with a $450,000 “no-show” job, lavish gifts including a custom chair, reduced-rate food services and office space, according to Newsday. Singh said that before Edward Mangano was county executive, he never gave gifts so generously to the couple, according to Newsday. When Singh visited the pair in 2015, he testified, they both broke down in tears as FBI agents began to investigate them, according to Newsday. Edward Mangano is charged with seven counts that include conspiracy, extortion and federal program bribery. Linda Mangano is on trial for five counts that include lying to the FBI about her employment with Singh. Under cross-examination on Tuesday, Singh said that Town of Oyster Bay officials did whatever he asked when prompted by defense attorney Kevin Keating, and that he could call up former Town Supervisor John Venditto whenever he liked, according to Newsday. Venditto was found not guilty on 27 charges including bribery and fraud in May. In 2000, 10 years before Edward Mangano would become county executive, Singh had already signed a new agreement that gave him control of the property known as the Woodlands, which ended up costing $4.6 million, twice as much as initially projected, according to Newsday. Singh took out a fraudulent mortgage to pay for the additional expenses, contributing to his father declaring bankruptcy at the age of 82, according to Newsday. Singh also said in testimony that the favors and gifts he provided the Manganos were given in an effort to obtain lucrative contracts in a time of economic downturn for his businesses, like a bread and roll contract after superstorm Sandy, according to Newsday. In a written order Tuesday, U.S. District Court Judge Joan Azrack denied a request by the defense to have the case thrown out or inform the jury of the previous mistrial.